Susan is the marketing specialist for BFJ Financial Group. 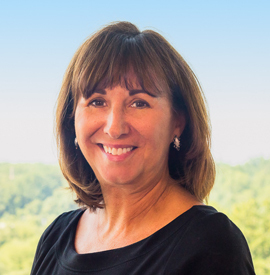 Before joining BFJ Financial Group in 2004, Susan spent 15 years as a pharmaceutical sales representative. She was also the treasurer for the Town of Brookeville for 20 years and worked with the town commissioners on all financial responsibilities. Susan’s varied background in sales, marketing and finance provides the perfect foundation for her current position. Susan graduated from Frostburg State University with a BS degree. She is married and has two daughters. In her spare time she enjoys the beach, traveling, reading, watching or going to football and basketball games.